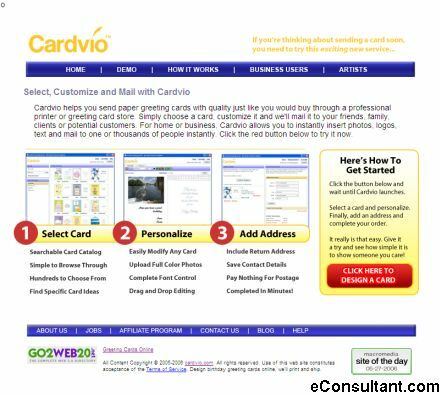 Description : Cardvio is a unique and proprietary card selection and customization platform. Cardvio allows customers to fully interact with their e-powered paper greeting card by adding text, digital pictures and paint directly on the card template all for $2.99 with postage. Cardvio seamlessly integrates with almost any graphical interface, creates an uninterrupted shopping experience for the end-user and elegantly exceeds any e-card or paper greeting card offering today.